The Monet subsea cable system, which links the U.S. and Brazil, is complete and ready for commercial service. The 100Gbps-capable cable system offers an initial 64 Tbps of capacity. The 10,556km cable has shore landings in Boca Raton, Florida; Fortaleza, Brazil; and Praia Grande, Brazil. Monet is owned by Algar Telecom (Brazil), Angola Cables (Angola), Antel (Uruguay), Google and TE SubCom, a TE Connectivity Ltd. company. “The successful implementation of Monet is the result of excellent teamwork between TE SubCom and the purchasers to mitigate project risks. TE SubCom is proud to have delivered on time a flexible, highly reliable system to this distinguished group of customers,” stated Debra Brask, vice president of Project Management of TE SubCom. Equinix's data center in Miami will host the Florida cable landing equipment of the Monet submarine cable system. The Monet submarine cable, which will deliver 60 terabits of capacity between the U.S. and Brazil, is owned by Algar Telecom (a Brazilian telecom company and ISP), Angola Cables, Antel (the Uruguayan telecom company) and Google, which is also the U.S. landing party for Monet. Construction of the system is underway and is expected to be completed in 2017. The Monet cable will terminate in the U.S. at Equinix's MI3 International Business Exchange (IBX) data center. In Brazil, Monet will land in Fortaleza and Praia Grande near São Paulo. Landing facilities in those markets are to be provided by Angola Cables in Fortaleza and Google in Praia Grande. Equinix said this represents an industry first for deploying an open submarine cable architecture together with an integrated cable landing station; colocation and interconnection inside a network-dense, multi-tenant data center. Current submarine cable projects that Equinix is engaged with and has publically announced include: Southern Cross Cable Network (California - Sydney); Aqua Comms (New York - London); Hibernia Express (New York - London); Cinia (Germany - Finland); Trident (Australia - Indonesia - Singapore); Globenet (Florida - Brazil); Asia Pacific Gateway (China - Hong Kong - Japan - South Korea - Malaysia - Taiwan - Thailand - Vietnam - Singapore); Hawaiki Cable Limited (U.S. – Australia – New Zealand); Gulf Bridge International (Middle East - Europe); FASTER (U.S. West Coast - Japan); Seaborn Networks (New York - Sao Paulo); and Monet (Florida - Brazil). 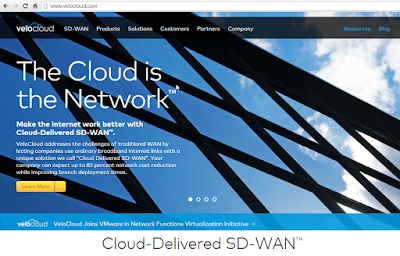 VeloCloud Networks' Cloud-Delivered SD-WAN is enhancing the ability for enterprises to connect to Amazon Web Services (AWS). Specifically, VeloCloud is leveraging AWS to offer a range of flexible deployment options for customers, including topology designs that require minimal changes to their existing networks. Enterprises now have the flexibility of including Amazon Virtual Private Cloud (Amazon VPC) as a part of VPN, either through globally distributed VeloCloud hosted Gateways and existing VPN hubs on AWS, or by deploying Virtual VeloCloud Edges on AWS. These solutions eliminate tunnel complexity and deliver security for both Internet only and Hybrid sites. Additionally, Service Providers or partners can host multi-tenant VeloCloud Partner Gateways on AWS for secure and reliable access to their hosted applications. GBI, which stands for Gulf Bridge International, is well-known for its subsea cable system extending from the Arabian Gulf to the United Kingdom to the west and Singapore to the east. 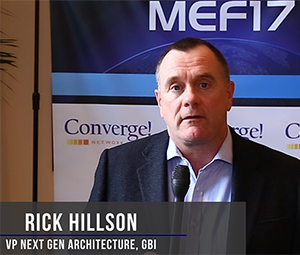 In this video, Rick Hillson, VP of Next Gen Architecture for GBI, talks about transforming this system with #SDN and #NFV. 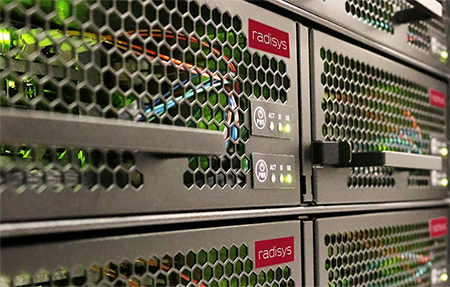 Radisys is partnering with NS Solutions Corporation, an information technology solution provider in Japan, to deliver SDN, NFV and security solutions to leading communications service providers in Asia. The companies will jointly develop solutions based on Radisys’ FlowEngine that will allow CSPs to easily introduce new services with greater speed and agility, provide holistic management, and increase granular security to combat cyber threats, all while realizing a huge reduction of CapEx and OpEx. Radisys’ FlowEngine TDE-2000 intelligent traffic distribution platform delivers Service Function Chaining and Load Balancing capabilities via a unique SDN spine and leaf architecture. The architecture collapses multiple appliances, previously needed to deploy these capabilities, into a single compact 1RU form factor with integrated management. It can be controlled by a variety of SDN controllers, including ODL and ONOS. 6WIND, the Paris-based developer of high-performance packet processing software and software appliances for Commercial-off-the-Shelf (COTS) servers, has extended its Brocade vRouter replacement program through the first half of 2018. 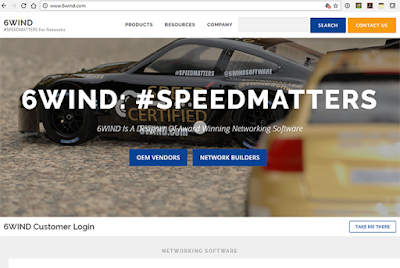 The 6WIND Turbo Router, which is a high-performance software router for bare metal and virtual machine deployments, can be used as an alternative to Brocade’s Vyatta vRouter, which is now end-of-support. 6WIIND's offer now also applies to VyOS virtual routers. The 6WIND Turbo Router is based on DPDK (Data Plane Development Kit) for performance. It separates its full-featured data plane and control plane for use case flexibility. Management options include CLI, XML or Linux-based tools.